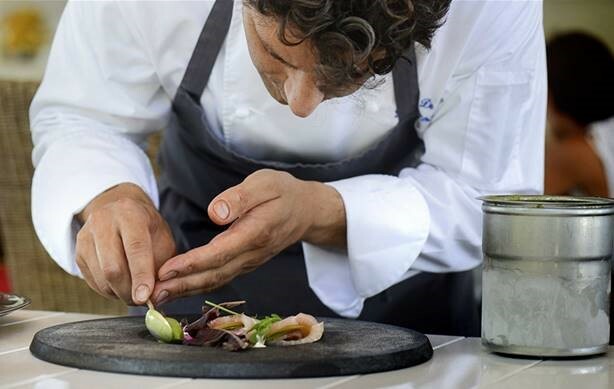 An ambitious chef from the South of Italy, Ludovico De Vivo’s food combines the Tasca d’Almerita passion for good food, rooted in a rich and profound gastronomic history. From November 22 – 24, Rossini’s in partnership with Wine Gallery, welcomes guest chef, Ludovico de Vivo from Capofaro restaurant on the southern Italian island of Salina for lunch and dinner. Dishes will remain on the menu until November 30. Highlight dishes from Chef Ludovico’s lunch and dinner set menus will include Australian beef tartar, anchovy sauce, black olives and bread, potato and rosemary soup, raw Sicilian prawn, candied lemon, cauliflower, yogurt sauce and caper, and amberjack with red peppers chutney and charred onion sauce, and more. a 3-course menu of appetizer or soup, main and dessert at THB 2,400++, a 4-course menu of appetizer or soup, pasta, main and dessert, THB 2,850++, and a 5-course menu of appetizer, soup, pasta, main and dessert, THB 3,500++. Wine pairing recommendation on each course is also available. Available until November 30. On Friday, November 23: Tasca d’Almerita Wine Dinner. Diners will enjoy welcome canapés served with Regaleali Rose followed by red mullet beccafico style with lemon fruit sauce and chickpeas served with Tasca Leone 2016 and cream of fava beans with onions and grape musts paired with Tascante Chiaia Nera 2014. The memorable gourmet wine dinner will also include risotto with tomato consommé capers and almond accompanied by Tasca Cygnus 2015. Other notable dishes will be soft pork belly with vegetables complemented by Tasca Cabernet Sauvignon 2014 and lamb with tomato and pistachio served with Tasca Rosso del Conte 2013. The unforgettable dinner will end with a divine dessert of apple variation. Prices at THB 2,800++ or THB 3,900++, including optional wine pairing. Price excludes 10% service charge and 7% government tax.